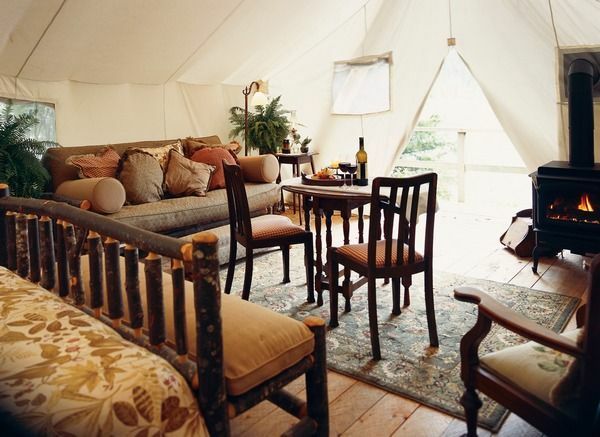 We’ve all probably heard the term ‘glamping’ by now (glamour camping) – think tents complete with proper beds and downy quilts, gourmet meals and certainly no need to dig a hole when nature calls! 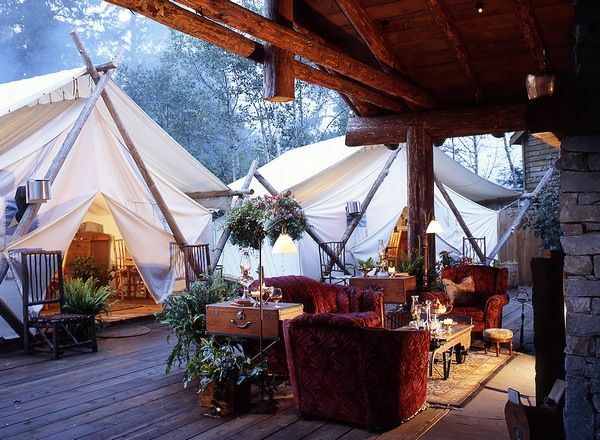 Clayoquot Wilderness Resort, situated in British Columbia, Canada is the ultimate outdoor adventure (glamping) holiday. 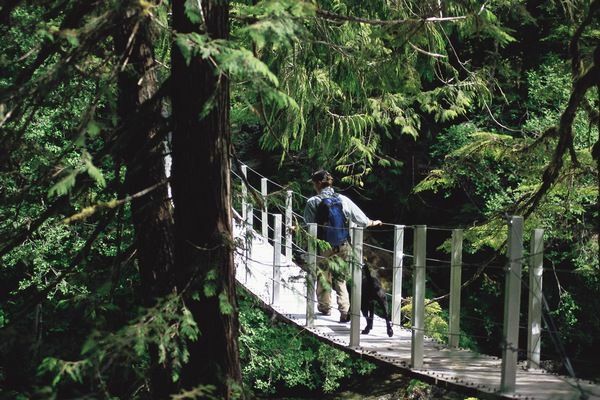 Nestled in the majestic coastal forest surrounding Clayoquot Sound, the resort combines luxurious accommodation, gourmet dining and an amazing array of outdoor activities. 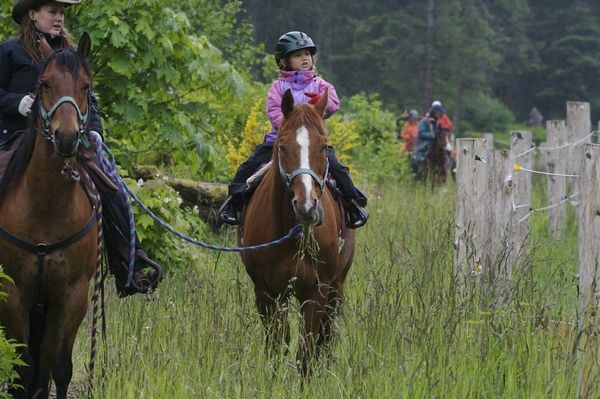 Clayoquot specializes in remote experiences. Guests can choose from learning to surf at a pristine and secluded beach, guided hikes through the surrounding forest, kayaking the rapids on a nearby river or enjoying a gentler ocean kayak cruise to private inlets and hidden coves. And if that’s not enough to tempt you, there’s also horse riding, wildlife watching (expect whales and bears! 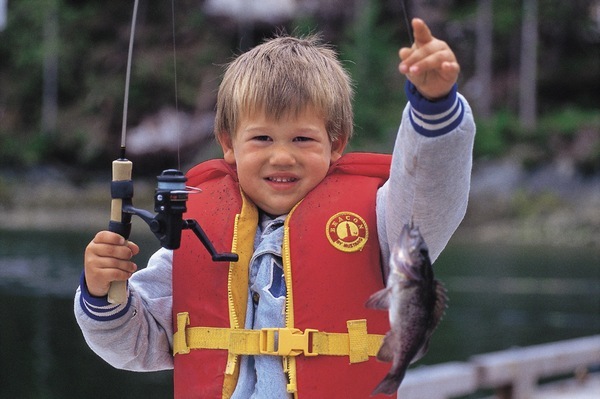 ), ocean and fresh water fishing, sailing, clay shooting, rock climbing, archery, swimming, mountain biking, zip line and more. 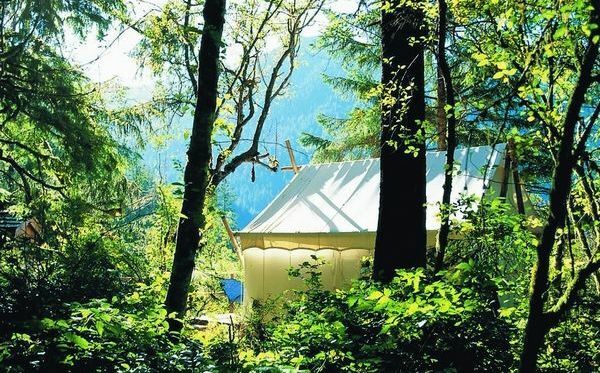 I did mention that a camping holiday at Clayoquot Wilderness Resort is far from roughing it. The ‘tents’ are little spots of luxury packed with old-world charm, right in the middle of the wilderness. 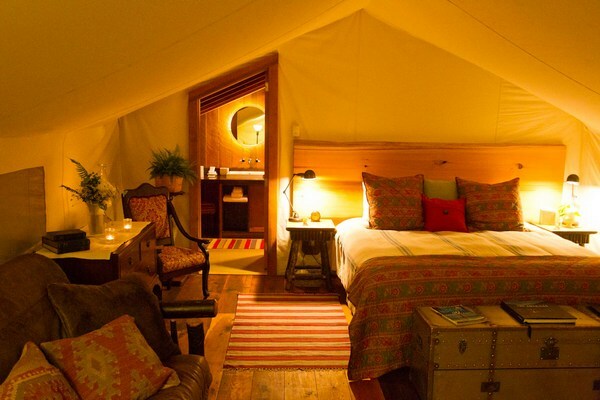 Choose between a luxury tent with ensuite bathroom (and under floor heating!) or the marginally more rustic deluxe outpost tent. The ensuite tents (shown above) accommodate families of up to five while the outpost tents (below) are suitable for four people. Either way, down duvets, antique furniture and wood stoves create a charming atmosphere. 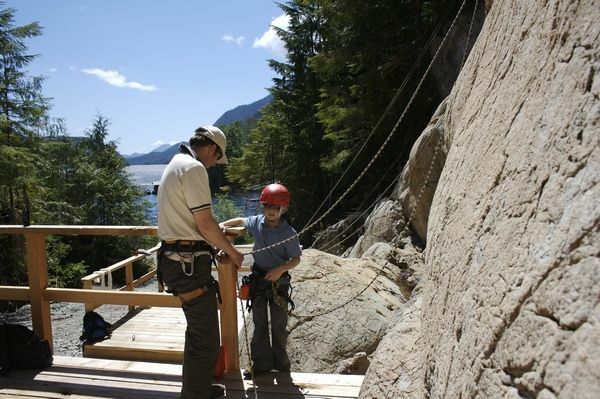 Clayoquot Wilderness Resort offers three, four and seven-night all-inclusive packages. 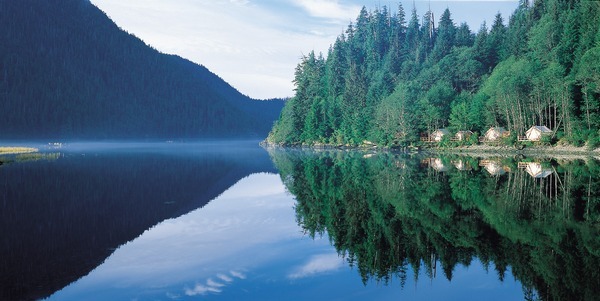 While packages vary in length, they all include return airfares from Vancouver to the resort (fifty minutes by seaplane), deluxe tented accommodation, all meals, snacks and beverages (including alcohol), massage treatments and a wide array of guided adventure activities including instruction. 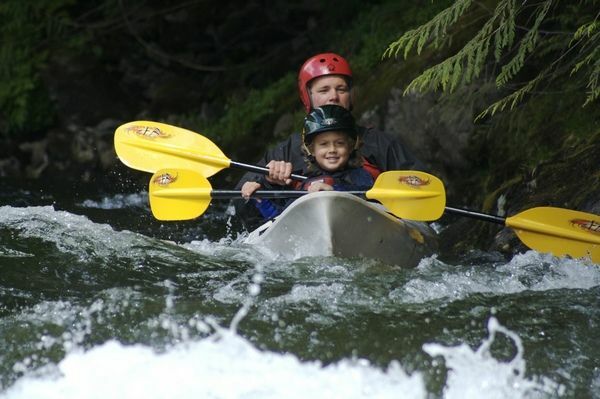 Prices begin at CAD$4750 per adult for a three-night stay and CAD$1500 per child. Children under four years are CAD$800, regardless of length of stay. 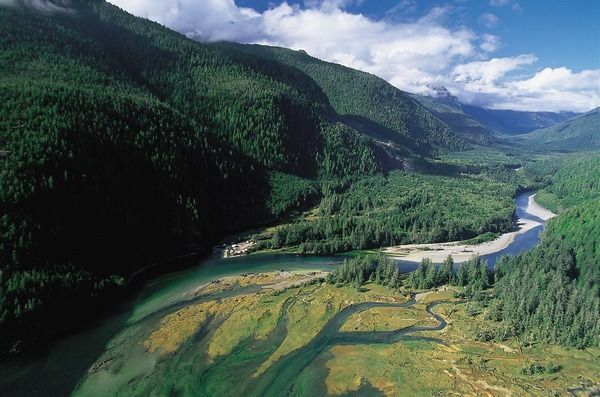 Contact Clayoquot Wilderness Resort directly for bookings. Flights to Canada can be booked through Goldman Travel.